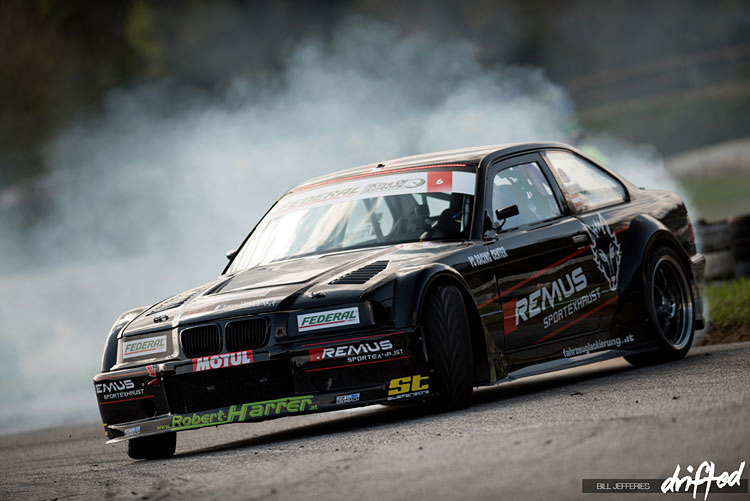 Are you ready to unleash the full potential of your BMW E36 suspension? If so, our ultimate E36 coilover guide is exactly what you’re looking for. The E36 is the third generation of the hugely popular BMW 3-series range. BMW began development of the popular chassis in 1981 before eventually unveiling it to the public in 1990. Immediately after release it took the market by storm across the world for just about every use and purpose imaginable. With the E36 being named in Car and Driver Magazine’s ‘10 Best’ list for every year it was on sale, it shows just how highly regarded it was in the motoring world. Fast forward to today and you’re left with an epic chassis which has stood the test of time and now reached a more affordable price-point than ever. 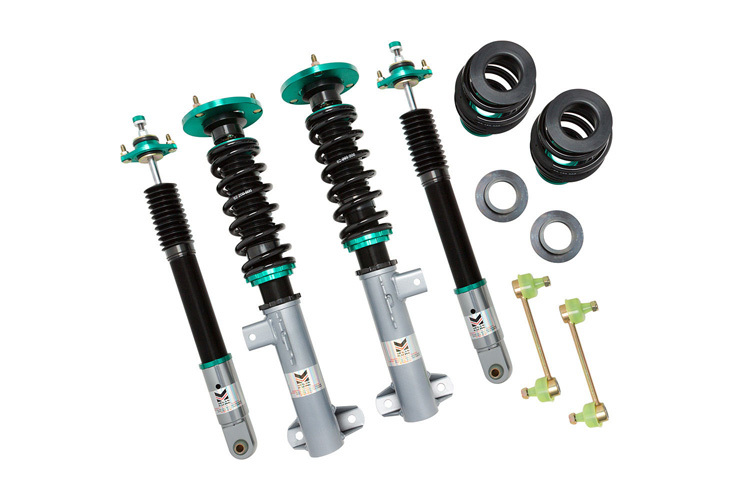 With E36’s featuring in just about every scene you can imagine, from drifting to stance to full blown race cars, there’s no doubt that aftermarket suspension is on the parts list for every owner. 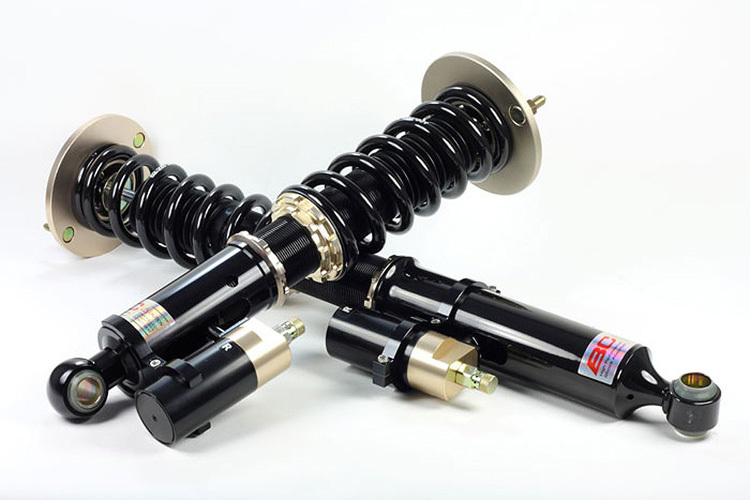 Whether you’re looking to slam the car on its rails, create a track beast or just replace the tired original suspension, we’ve chosen some of the best kits on the market to help you decide which coilover kit to go for. 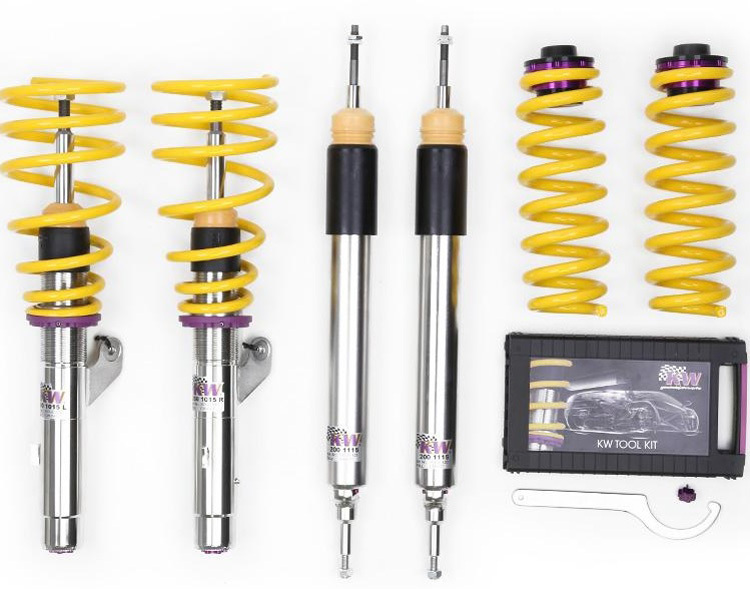 Our comment: H&R are one of the more well-known brands in the suspension world and their Street Performance offering for the E36 is for those who are looking for a street coilover to improve handling without a crashy ride. Featuring front height adjustment from 1.25-2.5″ and rear adjustment of 0.75-2″, these will provide both great handling and comfort however they won’t allow dampening adjustment. The H&R may well tick the boxes for many owners who want to lower their ride for street use, but we feel there’s better options for within the price range on our list. 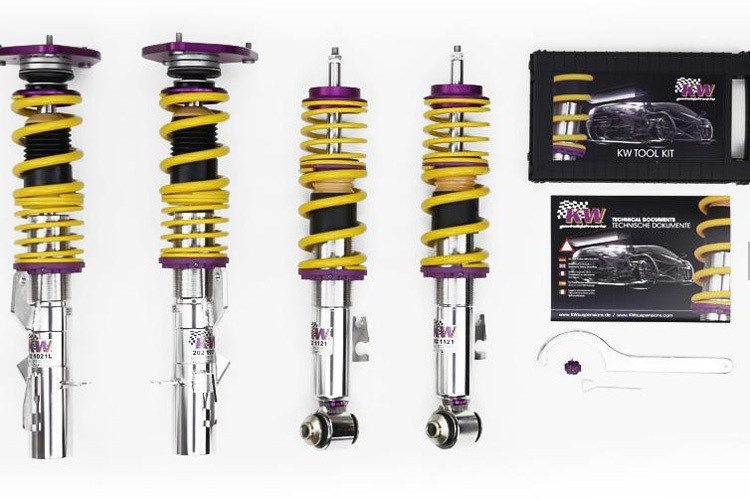 Our comment: Despite being one of the most expensive option on our list, they say that quality comes at a price and this 3-way KW coilover kit certainly lives up to that. Quite possibly the best quality kit out there with stainless steel construction which won’t rust, this could well be the best day-to-day kit which can also perform insanely well at the track. This kit is softer than the Clubsport offering from KW, which may suit you better on a daily basis, however some owners have found it slightly soft on track. If this is the case, KW’s Clubsport offering below may well be the perfect answer for your needs. Our comment: If you’re going all out with your E36 build and you’ll be spending more time on the track than the road, look no further than this work of art from KW. Designed in Germany and set up on the Nordschleife using track-day tyres, these will undoubtedly help you achieve the most from your suspension setup and shave off valuable seconds on your lap times. Our comment: Megan Racing have been well known in the Japanese tuning scene for quite some time and they’ve decided to try their hand at the German tuning market with this budget offering. Made in Taiwan, there are strong rumours that these are made by the same people that make some of the well-known JDM coilovers at an improved price. 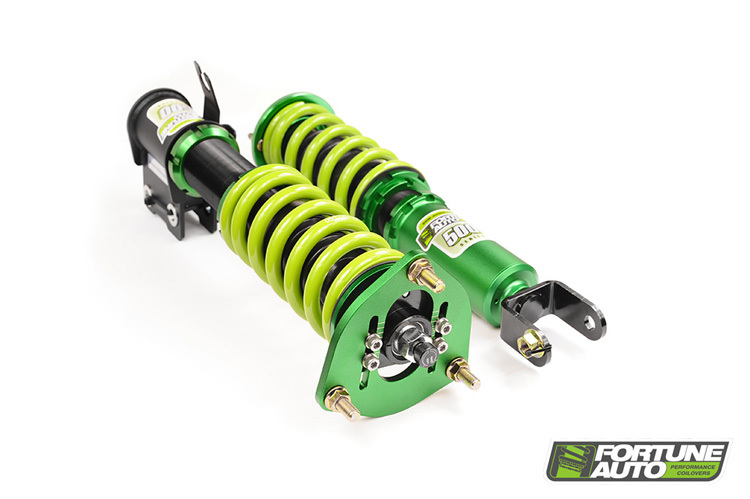 Designed for the street but with beginner-level track driving also in mind, these may well be an ideal budget offering for those who are looking for their first coilover kit. Our comment: ‘ER’ stands for external reservoir, and that’s what BC Racing brings you in their track-orientated flagship coilover setup. Featuring separate compression and rebound adjustment, the ER series is highly regarded by those who are looking for a highly adjustable track-orientated setup with a mid-range budget. 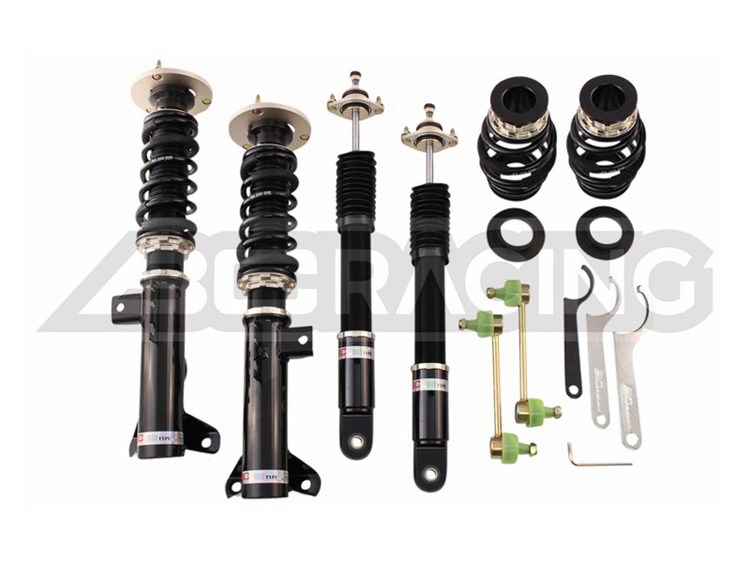 With great quality for the price, these are undoubtedly one of the best value-for-money track orientated coilover setups available. Our comment: BC Racing offer a great option for those of you on a budget. If you’re planning to spend less than $1k on a road set-up with occasional track, this all-round kit could well be the perfect choice for you. Featuring great build quality for the price bracket, these offer a firm but not crashy ride which is still ideal for street use with great adjustability. BC also offer their higher-end ‘ER’ series coilovers (above) which are their competitor for the KW V3’s if you’re intending to do mostly track use. We’ve given these a 5 star Drifted rating over the ‘ER’ series as we feel that they are incredible value for money for a tried-and-tested budget setup. Our comment: ISC have been increasing in popularity within the budget market for some time and their N1 series is another great all-rounder. Despite being geared towards street, track and drift cars, we feel that you may want something a little more serious for intense track use. With a great amount of adjustment available for the money, we would put these within the same bracket as the BC BR coilovers above. BR’s are the more frequent choice, so if you’re looking for the more tried and tested method within the price range, they may well be worth considering. 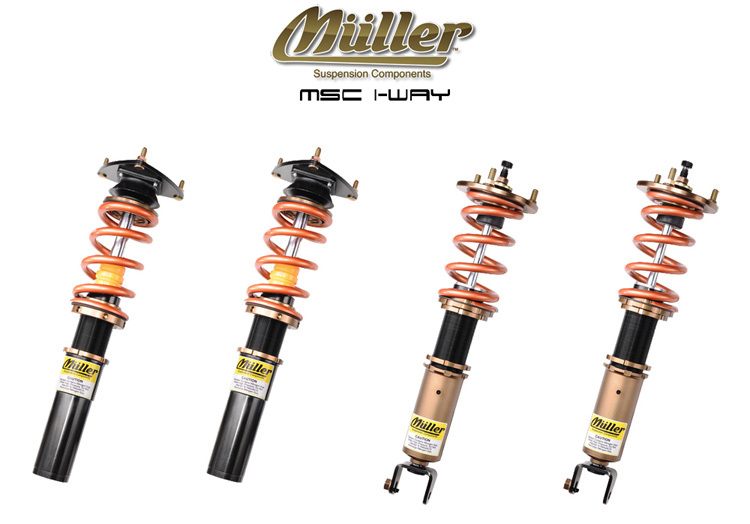 Our comment: Muller and Fortune Auto have combined forces to bring you this stunning-looking great quality coilover offering. Despite the great looks and build quality, we can’t help but feel that the KW V3 would be better value for money within the price range if performance and ride quality are your top priorities. 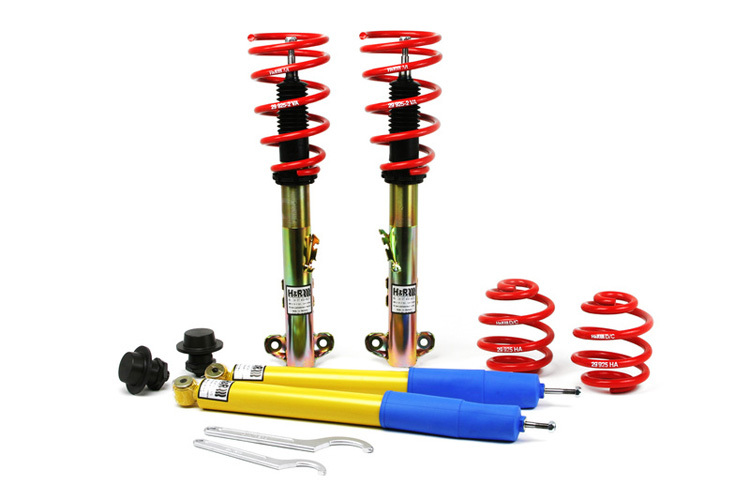 Our comment: Fortune Auto have these attention-grabbing coilovers on offer, with fantastic quality and a mid-range price point. These are soft and smooth for daily driving and also a capable coilover for occasional track use. With the ability to upgrade to 2-way remote canisters or swift springs, this could be a great option if you want a daily driving coilover now with something more track-orientated later on without having to purchase brand new. Our comment: Stance XR1 is the latest revision of the well-known Stance Super Sport line with many improvements including build and material quality. Stance are always a great choice for those owners who are going for the slammed look with their build while retaining great handling. 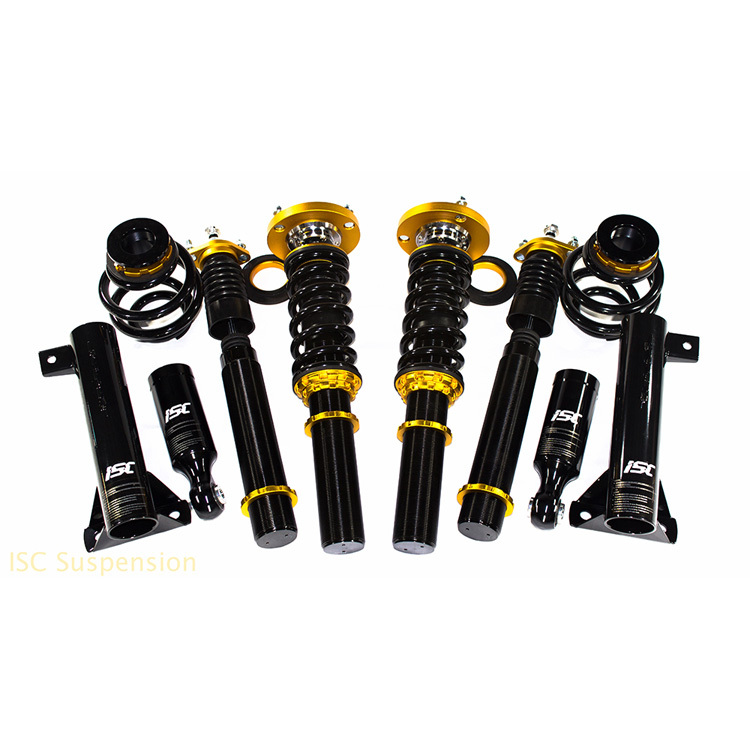 Stance have also focused heavily on corrosion and rust prevention with these coilovers, which is always extremely useful for road cars. There’s nothing more annoying than seized coilovers! 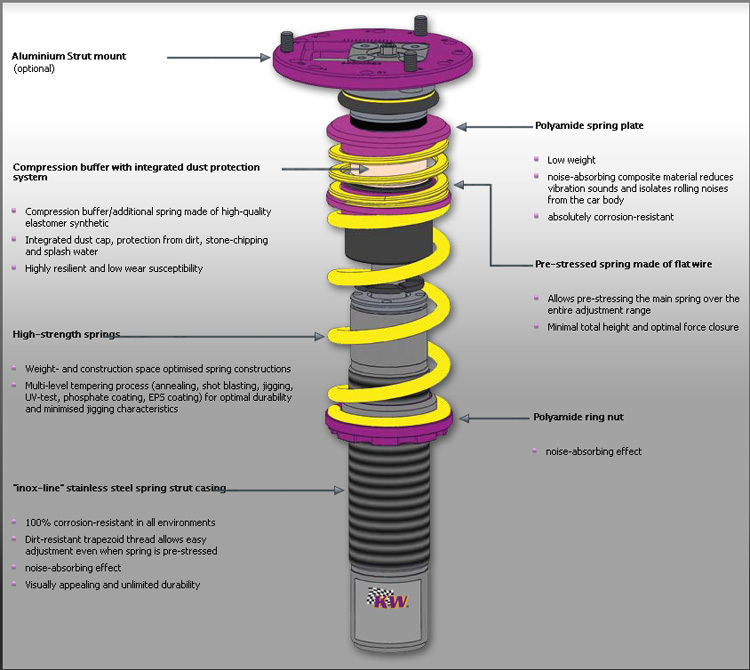 Our winner is the epic KW Clubsport coilover kit. Admittedly we try to avoid giving the highest priced kit the win, but this kit really is the perfect choice for those who are going all-out on a track set-up with their E36. The levels of adjustability are endless and the build quality is unbeatable. If you’re looking for the best fast road with occasional track setup, make sure you check out the KW V3 aswell – we have no doubt these will be perfect for your needs. 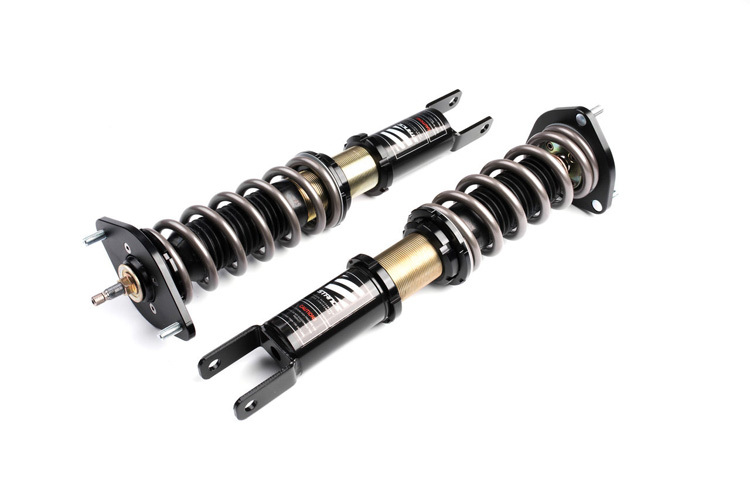 For those who want to get the best possible performance from their E36, we have no doubt that the Clubsport coilovers will be the best option for cutting down those lap times. There are some other serious contenders out there and the E36 selection is undoubtedly one of the more impressive on the tuning scene. 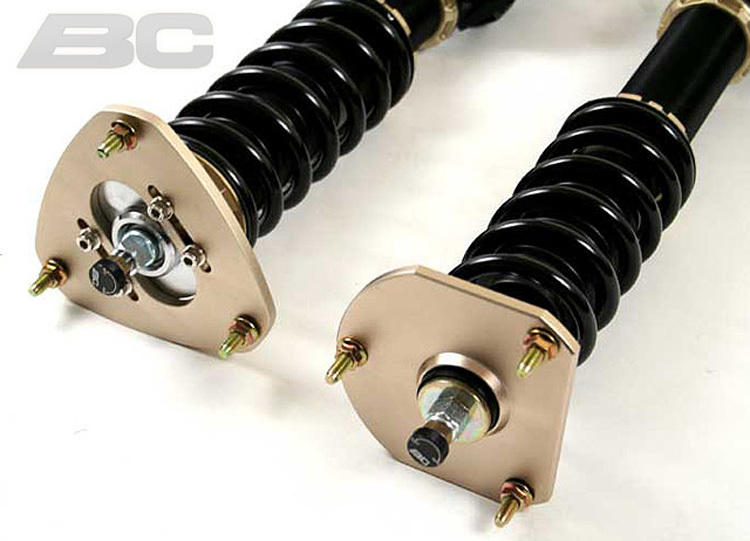 Another set of coilovers which blew us away during research were the budget-offering from BC Racing with their BR range. It’s not often you find a coilover kit for under $1,000 which meets approval from such a huge range of owners. If you’re on a budget and spend most of your time enjoying the E36 on the road, we have no doubt that these will be a great choice. Thank you for reading our BMW E36 coilover guide! Please remember to subscribe for free updates. If we have missed a great coilover set that you think is worthy of mention then drop it in the comments below.